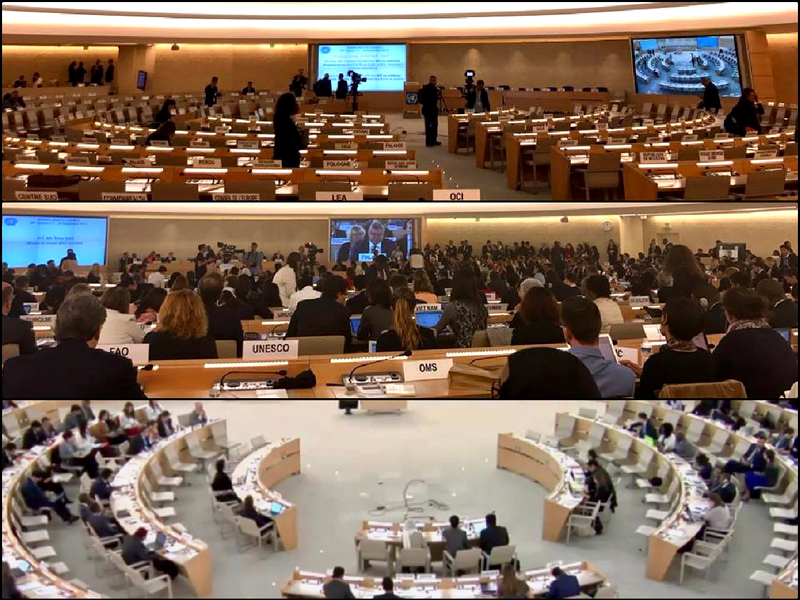 During the 36th Session of the UN Human Rights Council from September 11-29, 2017, IIMA and VIDES contributed to the Universal Periodic Review of Brazil, Ecuador, Tunisia and India. While expressing satisfaction in seeing that the concerned countries accepted most of the recommendations relating to the protection of children, young people and women- especially those in the most vulnerable situations, IIMA and VIDES voiced specific concerns and made concrete recommendations in order to achieve full implementation of human rights for these vulnerable groups. With regard to Brazil, recommendations were given to establish increased sensitization on violence against women and psychological support for victims, as well as the creation of more specialized courts to address these cases. Concerning India, recommendations were made to fully implement the right to education for all Indian children. In particular, the realization of a standard of oversight that monitors the adequacy of teachers in order to provide a quality education for all children. In the case of Ecuador, the recommendation was to generate clear statistics that can correct deficiencies in the educational system, especially for indigenous children and adolescents. In Tunisia, VIDES and IIMA recommended that there be a guarantee for the implementation of the preschool education cycle for children aged from 3 to 6 years old. Respective governments have been urged to address the situation without further delay.